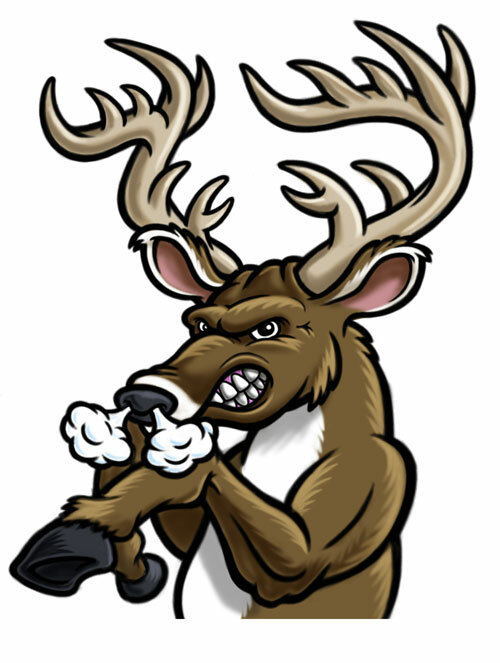 This cartoon logo featuring an angry deer character was created for a new product aimed at deer hunters – Rack Rubble. The client requested an imposing antler rack on the deer. We experimented with a human body for the deer, but it was nixed by the higher-ups. I also worked up a color sketch prior to going to final vector art to get things looking just right. The color sketch was created using Adobe Photoshop CS6 and the Wacom Intuos4 graphics tablet. Final vector art was created using Adobe Illustrator CS6. Love the imposing antler rack with the muscular human body. We’re in Deer Park, Washington. 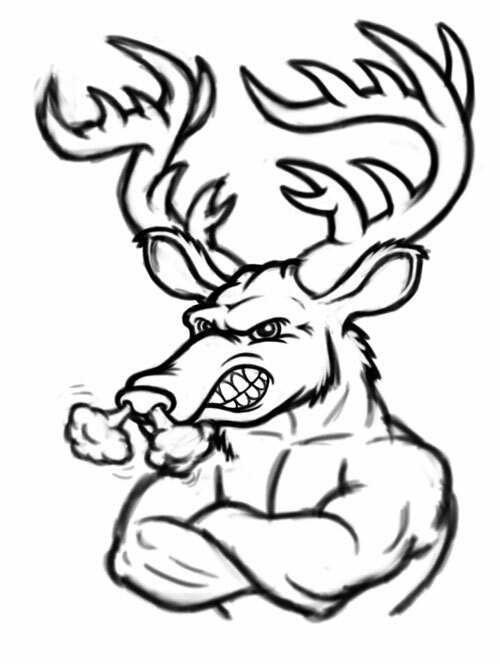 Our high school mascot is the stag, Deer Park Stags. Do you think we can get permission to use that artwork to make a couple of t-shirts please? I’m on the freshmen football team and we’re looking to get a cool t-shirt with that logo on it. Thank you sir.